Pre - Issuance Verification: Before issuing the Bond. The period when the bond is formulated, confirmed, launched, registered, priced and marketed. 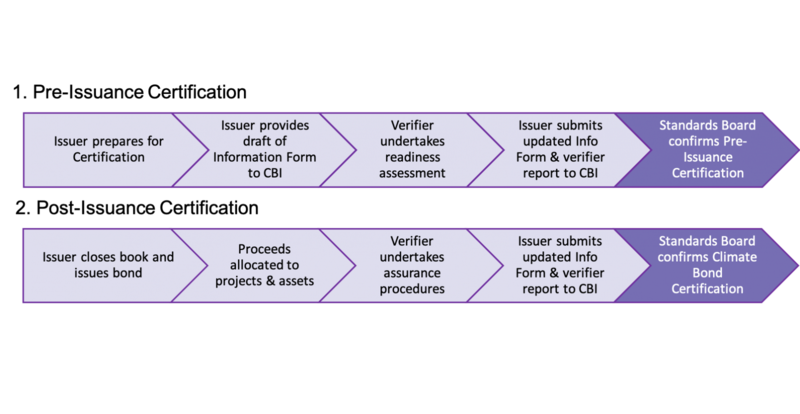 Post - Issuance Verification: Within 12 months after issuing the Bond. The period of allocating the bond proceeds to the nominated projects & assets. Certification of a Climate Bond at the Pre-Issuance phase enables the Issuer and Underwriters to market the bond as a Climate Bonds Certified bond in their investor roadshow. Further assurance and verification activities must be taken in the 12 months after issuance in order to confirm Post-Issuance Certification and maintain the Climate Bonds Certification. After the Post-Issuance verification, the Certification must be maintained by the Issuer submitting annual reports throughout the tenor of the bond, up until it matures. Although not mandatory, Issuers can engage a Verifier for regular assessment throughout the tenor of the bond. This would provide investors with additional assurance. We require the submission of these 3 documents in order to review a bond for Certification. Please send these to certification@climatebonds.net. The Climate Bond Information Form is a quick summary of the proposed bond. The Certification Application & Agreement is a legal document which should be checked and signed by the Issuer. The Verifier provides a Pre-Issuance Verifier’s Report which states whether the bond conforms with the Pre-Issuance requirements of the Climate Bonds Standard. The Climate Bonds Standard Board will review these documents and award Certification as appropriate. Upon approval, the Issuer will receive a formal Certification Letter as well as a Certificate, which they can use to market their bond. After the bond has been issued and the bond proceeds start to get allocated to the projects and assets, the Issuer will update their Climate Bond Information Form to include any changes after the bond issuance. The Verifier works with the Issuer to provide a Post-Issuance Verifier’s Report to confirm that the bond conforms with the Post-Issuance requirements of the Climate Bonds Standard. The Climate Bonds Standard Board reviews these two documents and if they meet the requirements of the Climate Bonds Standard, Post-Issuance Climate Bonds Certification is confirmed and it is valid for the term of the bond. See the diagram above that explains Post-Issuance. Post-Issuance assurance is just as important as Pre-issuance assurance. After the Post-Issuance Verification is completed and confirmed, the Issuer will need to provide annual reports to the Climate Bonds Secretariat throughout the term of the bond. When possible, these annual reports will be published on the website. These reports are much simpler than the Pre-Issuance and Post-Issuance Verification Reports and their purpose is to provide confirmation that the bond is still in compliance with the requirements of the Climate Bonds Standard. A template for the Issuer to use is available here. These reports do not require any external verification, however some Issuers have chosen to engage the external Verifiers again, in order to give extra assurance for the market. The Issuer can release these Annual Reports to a schedule that is in line with their regular financial reporting. There are two types of costs involved with Climate Bonds Certification: Internal and External. Internal costs are incurred by the Issuer when they establish the required internal processes and controls to meet the requirements of Certification. There may also be costs associated with tracking the performance of the projects & assets tied to the Climate Bond. Engagement of the Verifier for Pre-Issuance and Post-Issuance assurance procedures and reports, and perhaps periodic assurance as well. 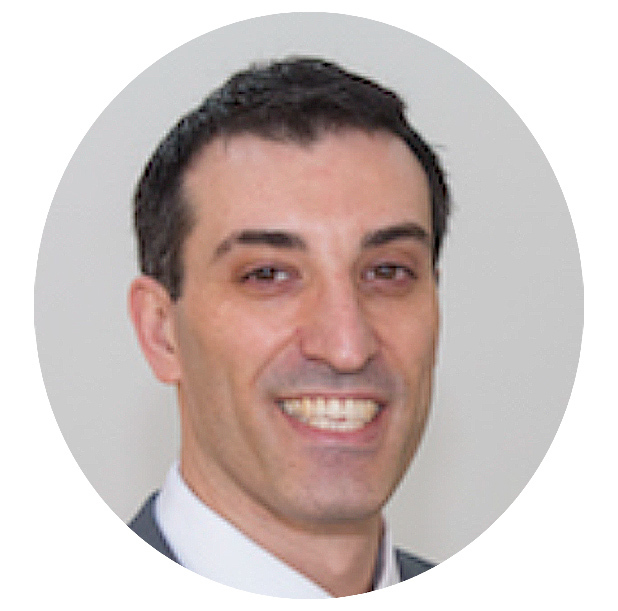 The cost is based on commercial negotiations between Issuers and Verifiers. A certification fee equivalent to 1/10th of a basis point of the bond principal. For example, on a USD 500 million bond, the certification fee is USD 5,000. Certification fees contribute to funding the development of the Climate Bonds Standard and the operation of the Certification Scheme. This is paid only once and immediately after the Issuance of the bond. 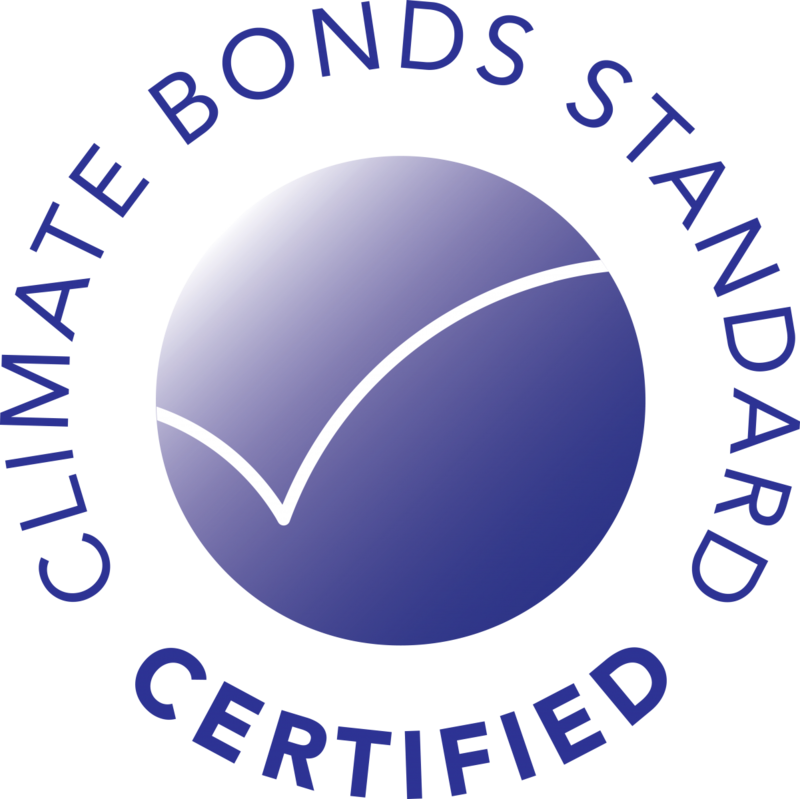 Disclaimer: The Climate Bonds Standard Board operates legally as an advisory committee of the Climate Bonds Initiative Board and oversees the development of the Climate Bonds Standard. Neither the Climate Bonds Standard Board nor any organisation, individual or other person forming part of, or representing, the Climate Bonds Standard Board (together, "CBSB") accepts or owes any duty, liability or responsibility of any kind whatsoever to any issuer which wishes to apply for any of its bonds to be certified under the Climate Bonds Certification Scheme ("Scheme"), or to any issuer whose bonds may at any time be certified under the Scheme or to any other person or body whatsoever, whether with respect to the award or withdrawal of any certification under the Scheme or otherwise. 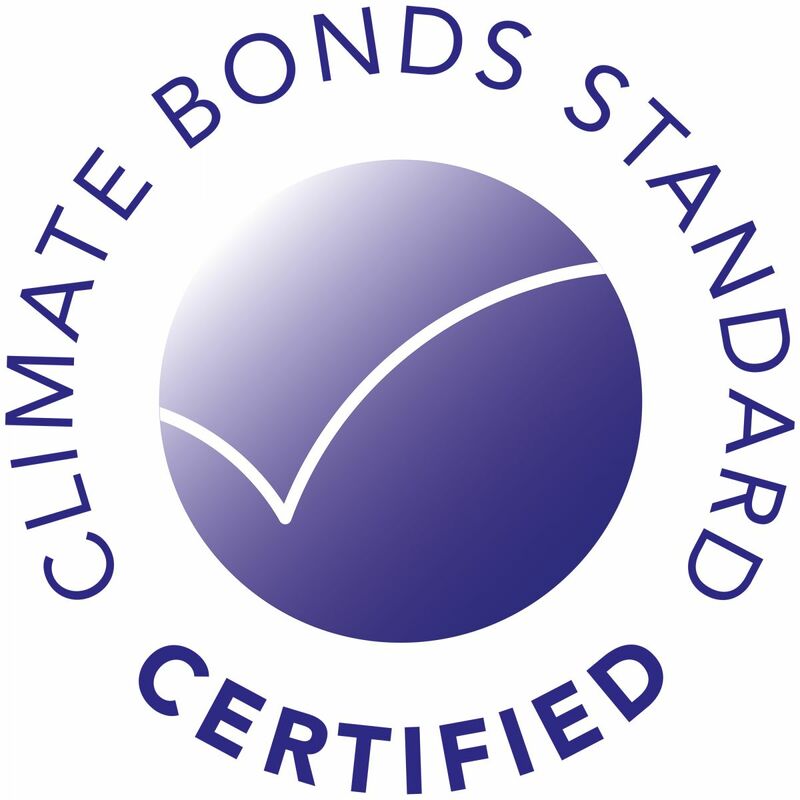 All advice or recommendations with respect to any certification under the Scheme or otherwise that CBSB provides to the Climate Bonds Initiative Board is provided to it in an advisory capacity only and is not to be treated as provided or offered to any other person.